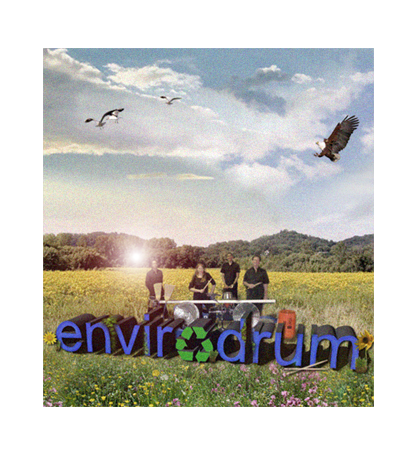 Enviro Drum Maryland, USA is a franchise of the hugely successful original Enviro Drum show created and led by Jeff Salem in Ontario, Canada. 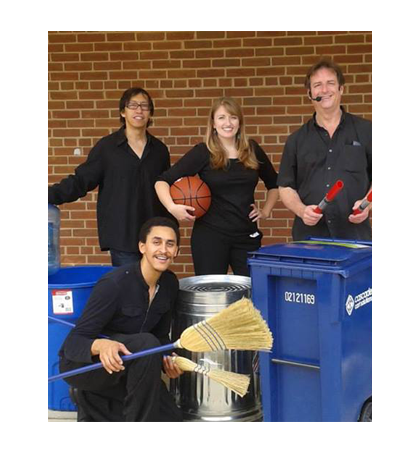 The group emphasizes the Three R's of Reduce, Reuse, and Recycle by performing all percussion parts on reused household items and on various sorts of recycle bins. The show emphasizes the environmental message with scientific and environmental facts and figures. The show is wonderful for such diverse groups as schools, special corporate events, outside festivals, civic activities, and more! Our show is a high energy performance spanning either 45 or 60 minutes. The show can also be tailored to fit between 15 and 75 minutes. An Enviro Drum performance includes interactive moments where topics such as rhythms, beats, and pitch are discussed. Upon request, we can also touch on topics specific to a school or organization’s program. Workshops are also available. Topics include how to make percussive instruments from recyclable items and how to make music in a group setting. Call or e-mail Wes today to book a live Enviro Drum performance. Thanks so much for your 3 wonderful performances yesterday! The students and teachers all were engaged and excited with your show! It would be fabulous to have you come back again, even for a mini-workshop as a follow-up. Here is a sampling of how the kids responded when I asked them to describe Enviro Drum... "Awesome,” "Amazing,” "Cool,” "Fun,” "Incredible,” "Spectacular,” "Number 1 show ever!" "I loved it,” "Loved all the music," "Great!"